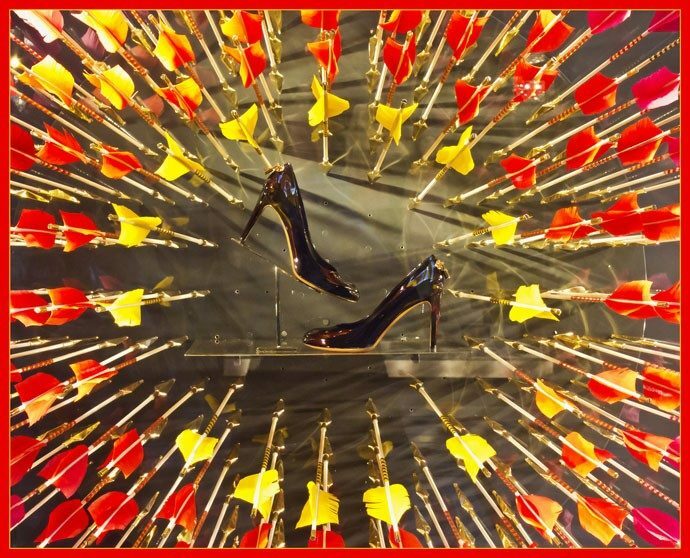 If fashion is Milan’s lifeblood, the Quadrilateral d’Oro is most certainly its pumping heart. 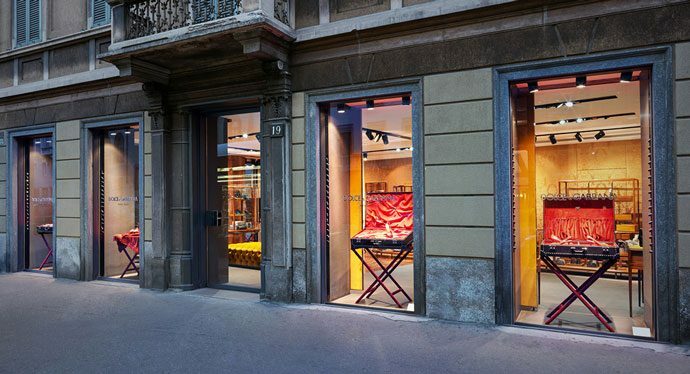 Located, just north of the Duomo, this luxury high-end designer mecca is nicknamed the Quadrilateralo d’Oro della Moda to locals, or ‘golden rectangle’ to us anglophones. In essence it describes 4 adjoining streets jam packed with the world’s major fashion houses and boutiques. Call it what you will, this is undoubtedly luxury fashion shopping at its finest, rivalling New York’s Fifth Avenue and Paris’s Champs Elysees. So have your plastic at the ready. Start off with a cappuccino at Cafe Trussardi (Piazza della Scala, 5) to get you in the zone. Then strut your stuff down Via Manzoni, one of the main arteries and northwest boundary of the golden rectangle. 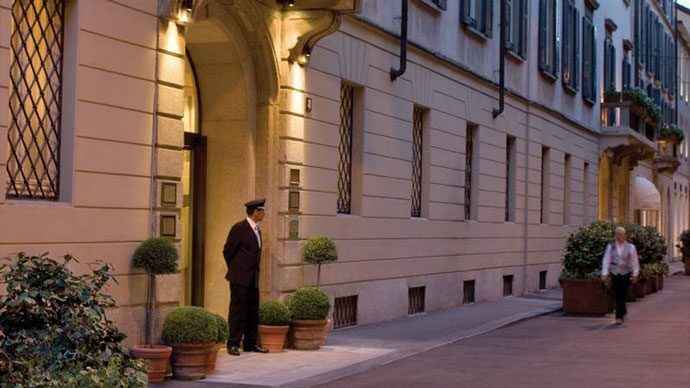 Have a passing look at the Grand Hotel et de Milan (Via Manzoni, 29) where the great maestro Verdi took up residence in the late 1900s within a stone’s throw of his workplace, The Scala theatre. Just across the road famous British designer, Paul Smith, has his Italian flag ship store (Via Manzoni, 30)- usually worth a peek in the window. 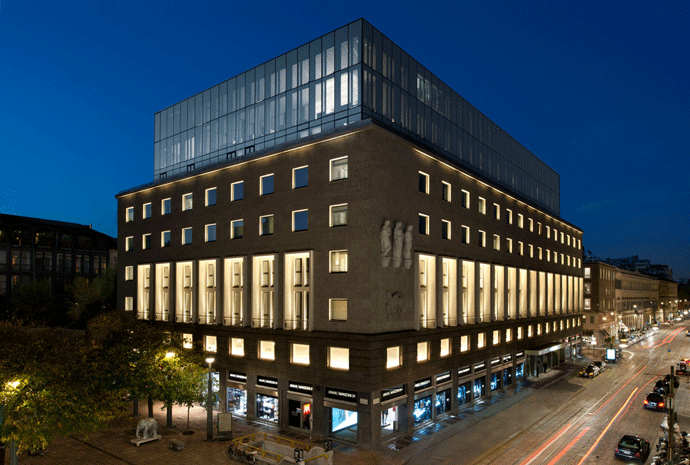 Then stop off at the major attraction of Via Manzoni, the 3 story Armani multi complex (Via Alessandro Manzoni, 31), while you’re still feeling (and looking) fresh. 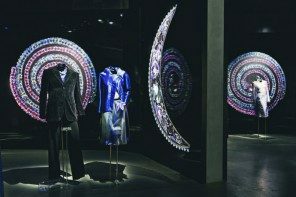 Learn about fashion and home furnishings from the granddaddy and King of Milan, Giorgio Armani. Just in case you’re feeling peckish and ready for some lunch. this is also the home of the Armani café and famed Nobu restaurant. On your way out turn left and cast your opinions on the contentious Aldo Rossi 1990 structure – eyesore or ingenious? Then try tackling the D-Magazine outlet (Via Alessandro Manzoni, 44) crammed full of fashion cast offs and designer labels. If it is too overwhelming, head to the sister store just a five minute walk around the corner for a more relaxed browsing experience (Via Bigli, 4). If you’re curious about the roads namesake, Manzoni was a Milanese born poet and novelist born in the late 1800s. The ancient Port Nuova archway marks the end of the street. Turn right down this street. 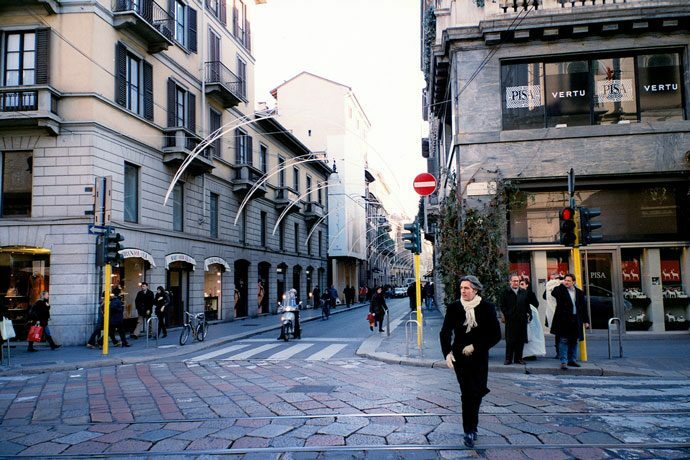 Via della Spiga forms the north-east boundary of the luxurious Quadrilatero della Moda. Fancy another caffeine hit, try Caffe Baglioni, find the entrance at Via Spiga 8, it’s a great example of Italian art deco at its best. Elegant and pedestrian-only, take your time in this street, soak up the atmosphere and enjoy understated Milanese elegance at its best. Check out the Dolce & Gabbana Spiga 2 boutique for its architectural design and new collections by up and coming designers endorsed by D&G. Further on down the street find the exquisite Prada accessories shop at no.18. If you’re only just getting into the swing of it never fear these stores are all at your fingertips; D&G woman, no.26, Just Cavalli no.30; Byblos no.33; Roberto Cavalli no.42; and last but not least Marni no.50. If you’re looking for some exquisite jewelry take a stroll down to Via San Pietro all’Orto where you’ll find the Pomellato Boutique. Worth a look even if that’s all you do. 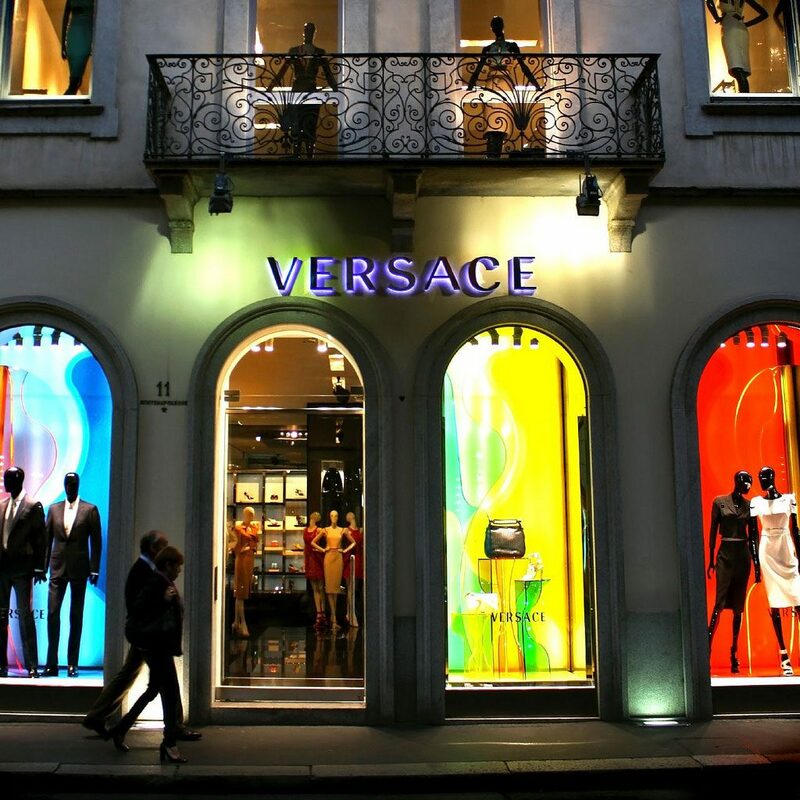 Long since home to Versace’s palazzo (Via del Gesù, 7) and these days officially a men’s fashion street. Don’t let this put you off, apparently the average man spends only 1.5 hours to complete his ‘new look’. The exquisite tailored suits made here even rival those on London’s Savil Row. 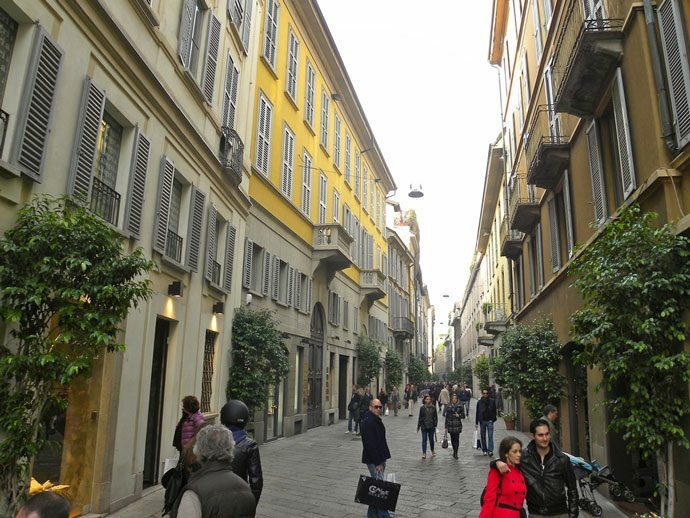 This is actually a rather beautiful residential and pedestrian street, it is also home to the five star Four Seasons Hotel which is set in a former 15th century convent (Via del Gesù 4/8). Ladies can take a shopping back seat, but if bling is your thing, check out Anna Tarabelloni & Co at via Gesù 15 for affordable costume jewellery. If you can find it, you are in for a treat once you enter this hidden gem. Turn right again into Via Monte Napoleone to complete the full tour of the quadrilateral. This street has a history of its own. It got its name in 1804, when the infamous Napoleon Bonaparte was at the helm and Milan was mainly frequented by foreigners. Only in the 1950s did Via Monte Napoleone gain prominence as an International shopping destination. You can find most of the fashion big wigs here and listed in order as they appear. La Perla, no.1; Louis Vuitton, no.2; Ralph Lauren, no.4; Bottega Veneta, no.5; Sergio Rossi, no.6; Gucci, no.7; Prada women, no.8; Armani Junior, no.10; Gianni Versace, no.11; Valentino, no.20; Alberta Ferretti, no.21; Christian Dior, no.21. The window displays are sublime – and remember, less is more. Shopping aside, this area is full of historic palazzi and museums (listed below) and if shopping just isn’t your thing head there on summers evening for a pleasant stroll or for a brioche and cappuccino on a Sunday’s morning. 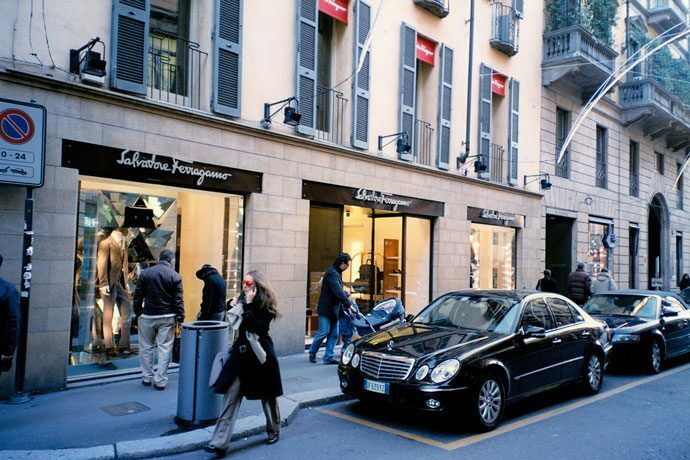 Avoid Sunday/Monday: shops in Milan close from 7.30pm on Saturday to 3.30pm on Monday. Conversely – choose these very times if you want the streets to yourselves. 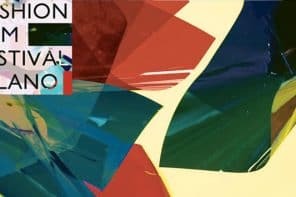 The zone can be easily reached from Piazza Della Scala, following via Manzoni a few blocks north or taking the Metro to Via Montenapoleone (MM3, yellow line) or to San Babila (MM1, red line). Bus 61 or 94 and trams 1, 2 or 20 also head to the area. Once you arrive all is easily accessed on foot. Try Princi (Corso Venezia 21) for a taste of real Milanese life at this fast paced and modern self-service café bakery – good for a sweet pick me up or lunch. Aperitivo: Try the Bulgari Hotel Milan set in a beautiful 18th Century Milanese palazzo where cocktails are served in the exquisite private gardens – great place for people watching (Via Privata Fratelli Gabba). Or head to the park (Giardini Pubblici Indro Monsanelli) for a spot of rest and recreation. Once you’ve recovered wander over to the Museo Civico di Storia Natuale di Milano to have a view of our primitive cousins.